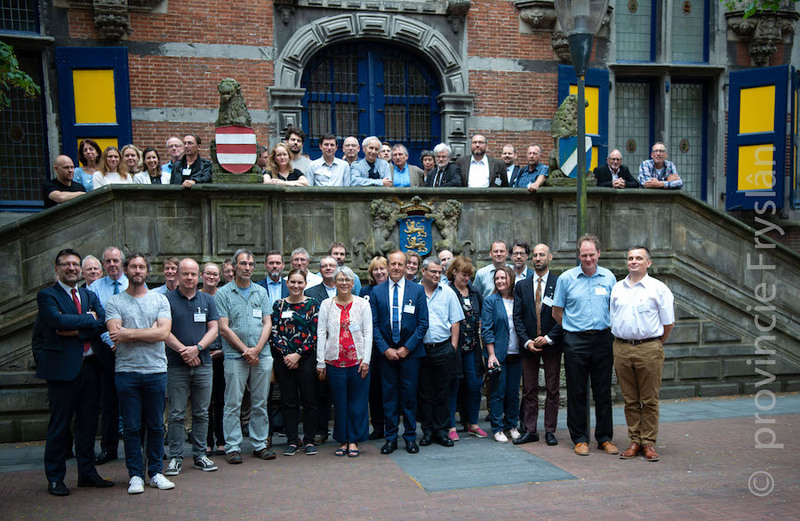 Bonn, - Representatives of Range State Governments, designated national experts and key stakeholders came together in Leeuwarden, the Netherlands from 20 to 21 June for the 3rd annual meeting of the AEWA European Goose Management International Working Group (AEWA EGM IWG). The meeting was kindly hosted by the Province of Friesland and chaired by Mr. Øystein Størkersen, representing Norway. Two back-to-back meetings, also hosted by the Province of Friesland, took place prior to the EGM IWG meeting: The first face-to-face meeting of the European Goose Management Platform (EGMP) Task Forces on 18 of June and the 2nd International Management Planning Workshop for the Barnacle Goose and the Greylag Goose (Northwest/Southwest European Population) on 19 June. The series of meetings held within the framework of the EGMP, kicked off with the first face-to-face meeting of the three EGMP Task Forces. These Task Forces had been set up following decisions at the 1st and 2nd Meetings of the EGM IWG on the establishment of an Agriculture Task Force and simultaneously two species-specific Task Forces – for the Pink-footed Goose (Anser brachyrhynchus) and for the Taiga Bean Goose (Anser f. fabalis). The role of the EGMP Task Forces is to assist the EGM IWG in coordinating and catalyzing the implementation of specific activities related to goose management under the EGMP. At the meeting in Leeuwarden, the Task Forces agreed on a workplan for 2018/2019 and specific recommendations that were presented at the EGM IWG3 two days later, compiling their output of the first few months since their establishment. At the species management planning workshop on 19 June, the Range States and stakeholders discussed the draft International Single Species Management Plans (ISSMPs) for the Barnacle Goose (Branta leucopsis) and the Greylag Goose (Anser anser). The workshop concluded with new drafts of the two plans to be finalized within the next couple of months.The draft ISSMPs are expected to be adopted by the 7th AEWA Meeting of the Parties (MOP), taking place 4-8 December 2018 in Durban, South Africa. The AEWA EGM IWG serves as the main coordinating and decision-making body of the EGMP, which was established by the pertinent Range States in Paris in May 2016. The goal of the EGMP is to provide a mechanism for a structured, coordinated and inclusive decision-making and implementation process for the sustainable use and management of goose populations in Europe. The objective is to maintain the populations at a favourable conservation status, while taking into account concerns of relevant stakeholders and the pertinent legislative frameworks and regulations . At the 3rd Meeting of the AEWA EGM IWG (20-21 June 2018), working group members decided on the next steps relating to the conservation and management measures to be implemented for the Svalbard population of the Pink-footed Goose and the Taiga Bean Goose. They also agreed on the new workplans for the Task Forces and the recommendations coming out of the meetings. Range States agreed, amongst other things, to monitor the effectiveness of management measures applied and share experiences with other countries, regarding agricultural conflict. In order to provide countries with individual guidance as to how they could adapt their national hunting regulations in relation to international EGMP processes, advice on implementing Adaptive Harvest Management through domestic legal regulations, was presented to the Meeting. The guidance, prepared by Ms. Melissa Lewis, Environmental Law Expert on the AEWA Technical Committee, contains model legislation, serving as an ideal case scenario for running an Adaptive Harvest Management system. Using the adopted guidance, Range States can undertake a review of their relevant legislation with regard to the opening/closure of goose hunting seasons and quota setting, as well as the collection of harvest data. With regard to the Pink-footed Goose, the Working Group re-confirmed that the management objective was to maintain the population at 60,000 individuals in order to reduce human-goose conflicts, by providing sustainable hunting opportunities in Norway and Denmark. Due to the increase in the population, it was decided to set the harvest quota at 27,000 individuals for the next season. For the other species on the agenda – the Taiga Bean Goose - the Working Group stressed the need to achieve a prompt recovery of the Taiga Bean Goose population. Consequently, Denmark, Finland, Norway and Sweden agreed to maintain the 3 per cent harvest rate to allow for population recovery, whilst providing limited sustainable hunting opportunities. The Range States resolved to strengthen the identification skills and raise awareness on the status of different goose species amongst local hunting communities, as well as communicate achievements on Taiga Bean Goose conservation. The EGM IWG also elected Denmark, represented by Ms. Camilla Uldal, as the new Chair of the International Working Group for the period of two years. For additional information, please visit the meeting page or contact the AEWA EGMP Coordinator, Ms. Eva Meyers.